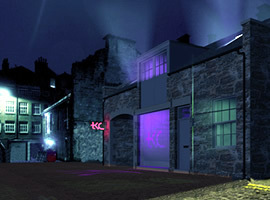 The Keenan Consultancy is an ambitious Building Services Design Consultancy that was formed to react to continuous feedback from clients and other professionals for the need to establish a practice that can constantly deliver a very high quality of service and further demonstrate innovation and proactivity throughout the design and construction process. The Practice was founded by Kevin Keenan and James Culbertson in November 2001. Kevin and James had previously occupied senior positions in large multidiscipline, national consultancy practices and had undertaken design, project management and supervisory roles within a variety of major and minor projects. During our practice lifetime we now have an extensive and successful track record in the Hotel and Leisure, Commercial, Retail, Education, Healthcare, and Domestic sectors. We set out at the formation of the practice to establish a varied and respected client base that would ultimately reward us with repeat business over many years. A major factor in keeping our clients happy and maintaining control on every project we work on is to have a TKC Director actively engaged through all stages of every project. To this day we still maintain this ethos and discipline and as a result, over 80% of our annual turnover derives from an existing client base who commissions us on a regular repeat basis. We carry standard insurances as Employers Liability Insurance (£10M), Public Liability Insurance (£5M) and Professional Indemnity Insurance (£5M). We are also fully Registered Members of CHAS and Constructionline as well as being Chartered Building Services Design Engineers. Our internal network operates across a Category 6 structured cabling system linked to a central server connected to a permanent high speed Broadband Internet connection. Each member of the Practice possesses a high spec PC equipped with the latest anti virus protection software and all machines operate Windows XP Professional. Our server based software applications include the latest versions of AutoCAD, NES (specifications), Hevacomp and Amtech calculation programmes. We also employ a full time CAD Manager to administer our CAD system. Our primary business objective is to react to a longstanding criticism of Building Services Design Engineering within the construction industry and build a business where quality of service, honesty, innovation and proactivity are brought to the design team forum and subsequently carried through and maintained until a completed installation is successfully handed over. Our aim is for this positive attitude to be the measure of our continued success. Website by DM Web Soutions.